Buying a new car can be easy and enjoyable only after you have done your homework and have put forth the necessary effort of researching every aspect of the new car buying process. On the other hand, if you underestimate the importance of researching by going to many dealerships and by visiting online car websites, you will most likely end up overpaying and incurring expenses that may extend for many months and years to come. 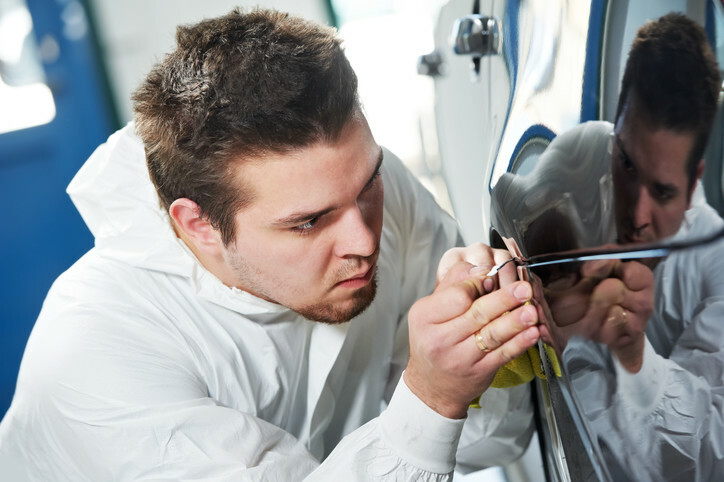 The new car paint protection process has now improved because of the advance technology that is being used nowadays. By taking advantage of today’s search technology, namely the internet, you can save much money and a large amount of time. You can get car price quotes and show them to several dealers in your area to pressurize them to give you a discounted price. Do not be taken for a ride and follow this strategy to take control of the process. 1. Do not believe the advertisements: You may see advertisements like ” We’ll Payoff Your Loan No Matter How Much You Still Owe!” or “We’ll Give You X amount of dollars For Any Trade-In!”, do not trust any advertisement. If you see 1.9% interest rate in any advertisement, be aware that it is for the people with perfect credit. Do not trade in a car (in case you have a trade-in) you owe money on. They make you think that they relieve you of your obligation, but the problem is that many new car buyers fall into that trap and they are just piling on more debts. If you a trade-in buyer, know the value of your trade-in or it’s better that you sell your used car on your own. 2. Choose the right time to buy: It’s always better that you buy the new car at certain times to ensure that you pay a discounted price than usual. It’s highly recommended that you go shopping at the end of December, July through October, the end of the month, though weekdays. 3. Set up a budget and a list: Set up a budget for your purchase that conforms with your salary or revenue. You have two ways of paying; either cash or loan. In case of loan, you will pay down payment, then you will pay a monthly payment. The experts at edmunds.com say “Make sure that your monthly payment does not exceed 20 percent of your salary”. 4. Research your car or choose a car: Whether you have a specific car in mind or not, consider researching. Researching would be easier and comfortable if you do it through the internet. Also, consider safety (safety ratings, crash tests of Euro NCAP), reliability, fuel efficiency, add-ons (fabric protection, paint protection, car alarm, extended warranty, insurance). Do not forget to save every piece of information in a list to use it later when negotiating at the dealership. 5. Use the internet to get price quotes: No doubt that the internet has become an indispensable aspect of our life, because it saves us money and time when searching for almost anything. Do not underestimate the importance of the internet when researching before you buy a new or used car. Websites such as edmunds.com, CarsDirect or Autobytel can be very helpful. Through the internet, you can get multiple car price quotes, insurance quotes, warranty, good loan rates and many other add-ons and extras that may cost you less than if you get them at the dealership. 6. Use the rebates and incentives to your advantage: While you are researching to choose the new car with its specifics, look for any rebates or incentives. In addition to the rebates or incentives that the dealer is willing to offer, there are bigger rebates and incentives that the manufacturer grant to the dealer. So even if you buy the new car at the invoice price, the dealer earns thousands. If you want to save a large amount of money, find out the rebates and incentives of the manufacturer. Bear in mind that the less popular cars have better incentives and rebates. 7. Contact websites and dealerships: Upon researching via the internet and the printed or online automobile magazines, determine a few dealerships to deal with. Contact them to see what they have to offer. Make sure that they have the car that you want present at the dealership. 8. Decide on the car and its specifics: Now that you have a list of multiple cars along with the their respective specifics, try to narrow down your list to a few cars to make the last decision. Make sure that you wrote down alternatives in case you found the initial options it not possible. 9. Secure yourself financially Before you go to buy: If you can afford to purchase the new car in cash, bear in mind that there is often a discount when buying in cash. However, if you are like most people who buy by taking a loan, it is strongly recommended that you take your loan from a bank, Credit Union, or online lenders. Also, it is better to purchase the insurance, warranty, the accessories and add-ons online to not let the dealer to reel you in with his complicated pricing system that make him earn huge profits. 10. Negotiate, Inspect and test drive: After you settled on the car that you want and need, go to several dealerships to negotiate based on the price quotes, and the rebates and incentives that you have written down in your list. Do not let the dealer or the salespeople sway you to other choices, because if you respond to their persuasive techniques, you will most likely be taken for a ride. So stick to your own research and decisions, not theirs. If they do not respond to you, walk away because there are so many other dealerships waiting for customers. Also, inspect the car internally and externally and test drive it to check its reliability, handling, comfort level. 11. Final step: To reduce the price more, tell the dealer or the salespeople that you have a list and you intend to visit the other dealerships to check their offer. Doing so will increase your chance of getting a better discount. When the deal is the perfect for you, read the terms and the conditions carefully before you sigh. When you are done, the new car is yours. Enjoy it! As you can see, this strategy is important because it has the most effective steps that you must consider if you want to have an easy and enjoyable new car buying experience. Implementing them is crucial if you want to get an affordable new car that you will be proud of. I hope that you found this article helpful and if you have any additional hint or opinion, feel free to leave a comment. Muhammed F Omran wrote this article about how to buy a new car. For latest, strategic, to the point and actionable car buying tips, Visit http://muhammedfomran.hubpages.com/.